This collection of Instagram photos inspired an ambient compilation at the end of last year – one well worth adding to your listening queue now. Since then, challenges opened to a community on SoundCloud have produced hundreds of terrific tracks – and the latest weekly challenge is on now, with a deadline midnight Monday. Where do you get your ideas? Sometimes, it can be a challenge just to start a track, or can simply feel a bit, well, lonely. Finding fellow music makers can solve that. Artists gathering around SoundCloud and online ambient music chronicle Disquiet work together, with inspiration from recording ice to ancient found samples of music and spoken word. 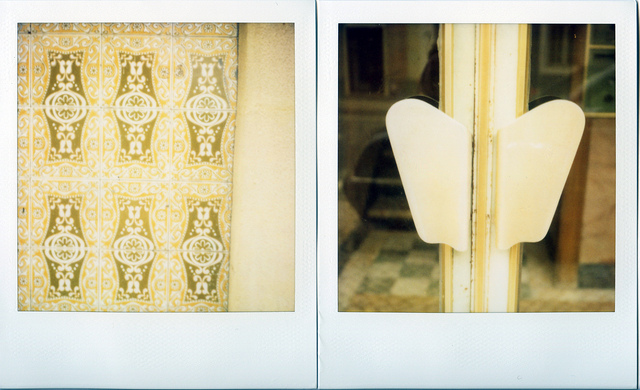 Disquiet itself has challenged artists with Instagram photos and the city of Lisbon. The results are imaginative, varied, superb music. And they’ve been surprisingly popular, earning lots of ears and inspiring still more music. Now, given the Instagram sale for US$1 billion, I would value the free compilation inspired by its photo sharing at least a couple of million dollars. Finding a welcoming community both to spur on new musical ideas and share the results? Priceless. And, okay, while perhaps they haven’t netted any massive Facebook buyouts, the past months have proven that ideas like this can motivate music makers and listeners alike. This week’s challenge, for instance, due Monday the 23rd of April, starts with samples of a piece of sandpaper and a pair of dice. The challenge: make one the foreground, and one the background. (The samples came from free sharing site freesound.org.) Previous challenges including Shostakovich and old rural music, bird song, a spoken word Benjamin Franklin autobiography, and old Edison cylinders as source material, and challenges like working from recordings of ice in a glass. The city of Lisbon becomes musical muse, too – in sound source and inspiration. Photo, in Polaroid, (CC-BY-SA) Yasmina Haryono. The 17th track is the source material. 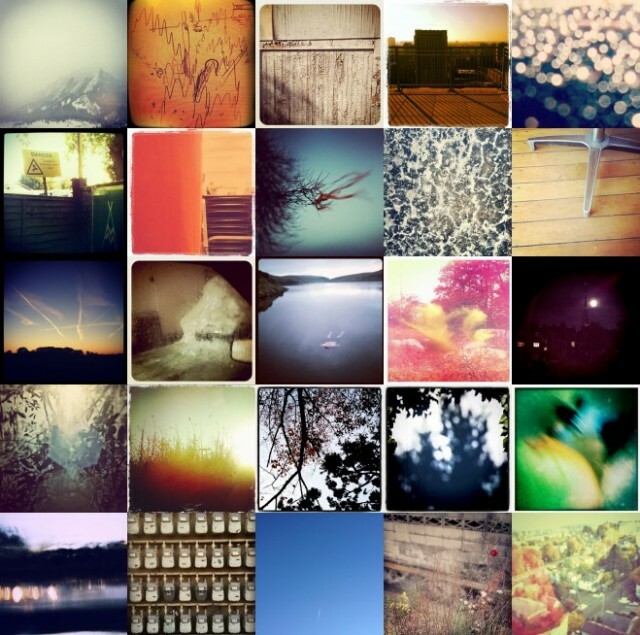 A separate compilation from the end of last year explored the notion of using photos on Instagram as source material. In two separate conversations, artists told me recently they felt that we lived in a “visual” culture, one in which the image was more important than sound. I’m still not convinced that’s true, or even how this oft-repeated statement is evaluated. But on the other hand, finding visual inspiration for music is a compelling exercise, a change to feed one part of the mind with stimulus from another. The first week of release of Instagr/am/bient was much more intense than I had expected — intense in terms of how quickly it garnered an audience. The first week it averaged over 2,000 listens per day, not counting downloads (which I posted over on Archive.org). I had hopes that the mix of visuals and sound would be of broader interest than some of this music (drones, abstractions, extended phonography) might be on its lonesome. Apparently that proved to be the case. Clearly, tying it to a familiar software (Instagram) helped ground people’s imaginations, as of course did the visuals. I think there’s a lesson in that. The correlation also functioned thematically: not just how the music was inspired by the photos, but how Instagram images and ambient music both involve, in their own ways, filters/processes that alter existing documents (photographs in one case, often field recordings in another). challenge. For example, I gave the image to Evan Cordes that showed the wheel of an office chair against floorboards. To my eye, the lines of the floorboards resembled sheet music, and indeed when I later discussed the project with Cordes he confirmed that he had interpreted it as a graphic score. This project differed from past Disquiet.com projects in that it was looser. The assignments were fully conscious, but in the end one has less overall control over something when 25 geographically dispersed musicians working from 25 different source subjects are involved, versus when a dozen musicians are involved. The next major Disquiet.com project is very controlled, just eight musicians, all with a very specific assignment. It should be out in a few weeks. The relative openness of the Instagr/am/bient project inspired me to push the idea a step further. So, I created a Soundcloud group for communal sound experiments, which launched today. It is called Disquiet-Junto. It already has 40 members, which is great. The idea is that I come up with a sound/music assignment and post the idea on a Friday, and then Monday by midnight the groups’ members post their recordings in response to the assignment. Already there are a half dozen tracks based on the first assignment, which is to make music from the sound of ice in a glass. The aftermath of the Instagram compilation is itself a fascinating story. The compilation captured the imagination of writers well outside the world of music. But most tellingly, you can read how the group of 25 musicians worked to translate what they saw into sounds of their own creation – whether in the microcosm of technical details (gear used and such) or bigger ideas of how to work between the visual and aural media. Their reactions are sometimes formal, sometimes emotional, intuitive, or fanciful. Imagine receiving a postcard in the mail. Ok, back up: remember the mail? Remember postcards? Or, does it? Turning it over, ostensibly to read, you find instead that it — sings. But, Instagram hype aside, consider what this could mean for finding inspiration anywhere, for reinvigorating your musical process. Actually, don’t think about it too long – just go do it. Note, too, that the SoundCloud Meetup Day is on the 17th of May. I expect to be keeping tuned into what’s happening in Berlin and involved in something in London, but wherever you are in the world, I’d love to hear what ideas you have for exchanging sound, and if you’ll be doing something to celebrate if you’re a SoundCloud user. SoundCloud Global Meetup Day May 17th: Get Involved!